Will Freezing Ovaries Allow Women To Bear Children In Their 40s and 50s? In 2009, twin sisters Sarah and Joanne Gardner were 34 years old, single, and not yet ready to have children. In their quest to put their biological clocks on hold, they traveled from their hometown in Australia to the Infertility Center of St. Louis in the US to meet Dr. Sherman J. Silber, one of the few surgeons who offer a procedure that is hotly debated among infertility specialists—ovarian cryopreservation, also known as freezing of ovaries. According to a report by NPR, this procedure—not to be mistaken for freezing of eggs—involves surgically removing all or parts of the ovaries from the female patient, and then preserved via cryopreservation (slow freezing or vitrification) outside the body. When the patient is ready to procreate, the ovaries are thawed and reinserted back into the body via a second surgery. Imagine being 45 or older, but having the fertility of your 30-year-old self. A recent update by NPR revealed that the sisters, now 44, returned to Dr. Silber in June and had their ovaries re-implanted. “It’s like we went in a time machine—a fertility time machine,” Sarah told NPR. The twins are also hoping that the procedure will reverse their menopause. Ovarian cryopreservation began as an experimental procedure “to preserve reproductive potential in patients who must urgently undergo aggressive chemotherapy and/or radiotherapy or who have other medical conditions requiring treatment that may threaten ovarian function and subsequent fertility.” [source: American Society For Reproductive Medicine] It’s also the only fertility-saving procedure available to pre-pubescent girls who have cancer. The first case of a successful birth from an ovarian transplant was reported in September 2004 under the team of Jacques Donnez, a researcher at the Catholic University of Louvain in Brussels, Belgium. [Source: New Scientist] According to Dr. Glenn Schattman, an associate professor of reproductive medicine at the Weill Medical College of Cornell University, there are only 21 successful pregnancies achieved around the world after re-implantation of ovaries, and all of them are cancer patients who opted for cryopreservation before getting cancer treatment. As for offering it to completely healthy women who are simply looking for a way to preserve fertility until their 40s or 50s, the medical community is torn. Dr. Silber is one of the few doctors who allow it, while Dr. Schattman believes that offering this procedure to women who don’t have cancer is irresponsible. “It really should be reserved for patients that are at imminent risk of losing their fertility in the very near short-term,” he told NPR. 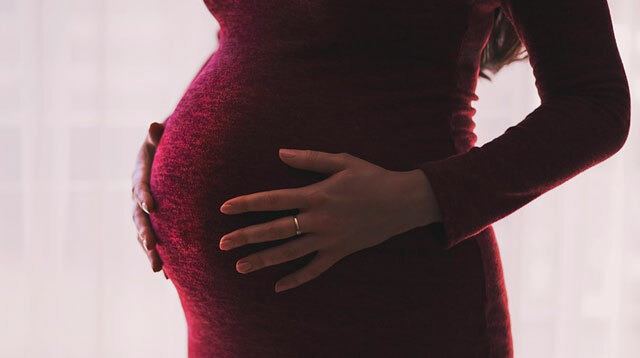 “Ovarian cryopreservation is still considered experimental in the Philippines,” said Dr. Rebecca B. Singson, Obstetrician Gynecologist at St. Luke’s Medical Center Global City, Makati Medical Center, and Asian Hospital and Medical Center. In the Philippines, there are six in vitro fertilization (IVF) labs that offer preservation of eggs, embryos, and sperm, but only three currently offer ovarian tissue freezing—Kato Repro Biotech Center in Makati, Repro Optima Center for Reproductive Health in Cebu, and Center for Advanced Reproductive Medicine and Infertility (CARMI) in St. Luke’s Global City. Only the latter (CARMI) has actually completed the rare procedure. “There have been only three cases [of ovarian cryopreservation] done in the country,” Dr. Singson said. One case was done on a 22-year-old breast cancer patient, whose ovaries were preserved prior to chemotherapy. The other case was on a 34-year-old with cervical cancer prior to irradiation. The third case was on a female with Hodgkin’s lymphoma, where chemotherapy needed to be done right away. The cases were done at St. Luke’s, two by Dr. Conception Ilao and one by Dr. Delfin Tan. Of course, there’s also the hefty price tag. The Morning Edition revealed that it costs about $3,000 to ice your ovaries in the US. As for the more popular egg freezing, it costs $8,000-$10,000 per cycle, plus hormone injections and multiple attempts to capture fertile eggs. The ovarian tissues of the three Filipina patients are currently cryopreserved in the CARMI lab of St. Luke’s Global City under the team of Dr. Joy Novero. No attempts at re-implantation and post-cryopreservation pregnancy have been initiated yet. As for the Australian twins, Sarah and Joanne, the medical community is waiting to see if they will indeed become pregnant before the end of the year, and possibly be the first non-cancer patients to successfully reproduce after freezing their ovaries. 3.) Victory A.R.T Laboratory, Inc. 5.) Repro Optima Center for Reproductive Health, Inc.